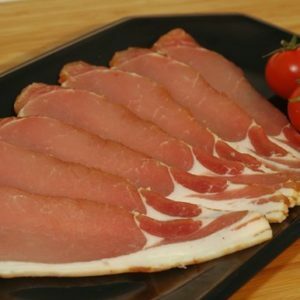 Our dry cured bacon has won us several awards including a European Gold Medal. 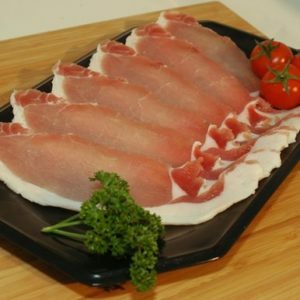 It is produced at our premisses with a dry mixture of salt, saltpeter and sugar, and more importantly, NO WATER. 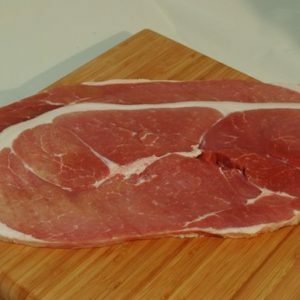 This gives us a bacon that is not too salty which does not shrink in the pan. 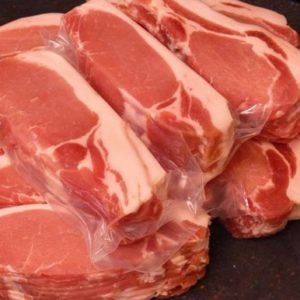 Just like bacon should be! 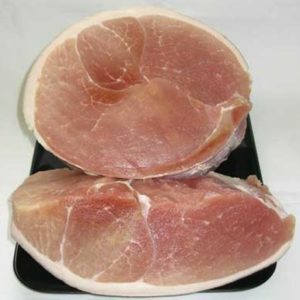 Our Danish Gammons are a mild cure and produce great steaks!